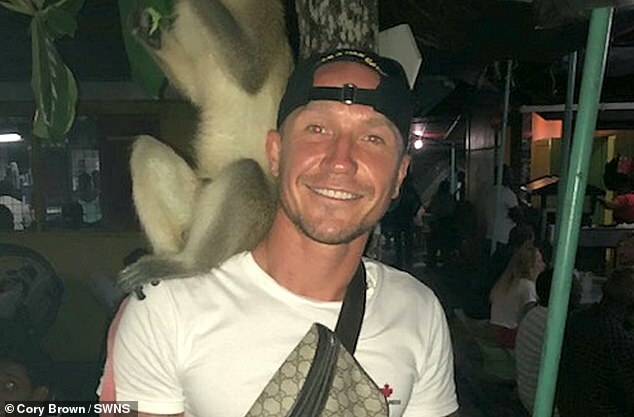 An ex-squaddie was killed by police officers after being shot in the back in a ‘drugs bust gone wrong’ during an intelligence-led raid at an address in Coventry. 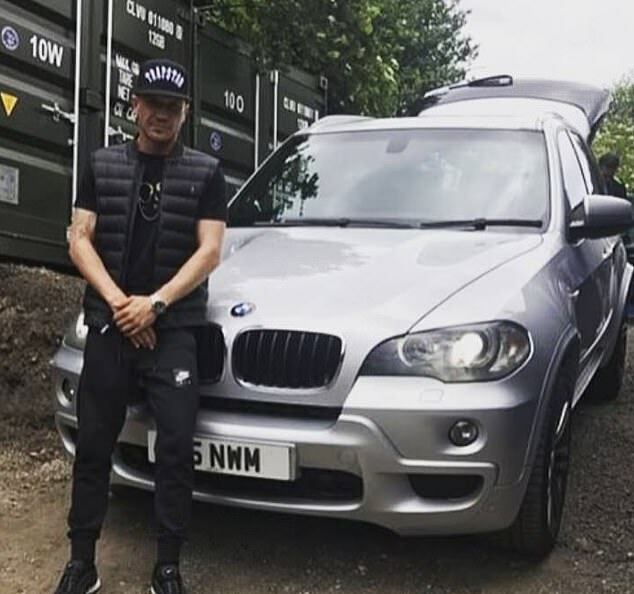 Friends claim that car trader Sean Fitzgerald, 31, was just visiting friends when armed officers burst into the house on Burnaby Road in Coventry on Friday night. Cory Brown, 28, also claimed that police used ladders to enter through the windows of the house where cannabis was allegedly being grown by others. 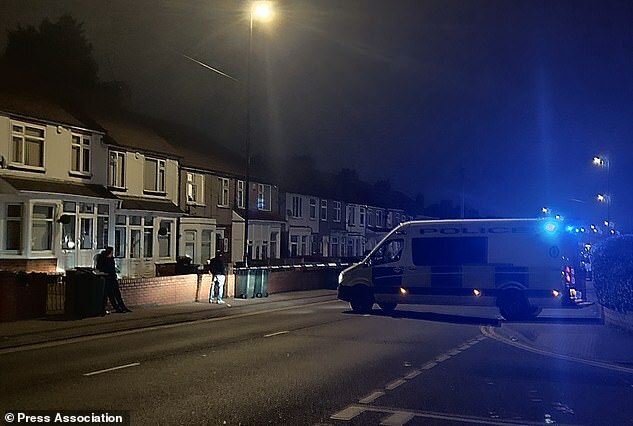 West Midlands Police have not confirmed whether Mr Fitzgerald was involved or whether the operation was a drugs bust gone wrong. Two other men were also at the property and have been arrested. 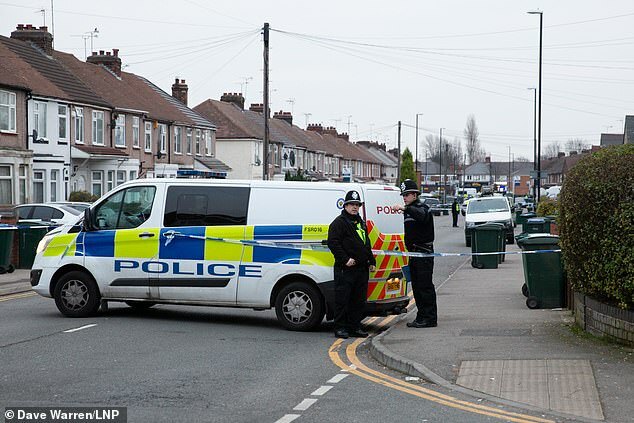 The raid was carried out at a house on Burnaby Road, a working class street in the West Midlands which has several shops and homes on it. Cory, a groundworker, said Sean was unarmed, there were no weapons in the home, and claims he was trying to run away because he was scared. He said: ‘He was my friend. All of the lads inside the house were my friends. They were all in the house unarmed. ‘From what we can gather, they have ran away out of the house because the police raided it. ‘The police climbed up ladders and went through windows, almost like it was World War 3. Obviously any person in their right mind would’ve been scared and ran away. ‘They’ve ran and Sean has been shot in the back by an officer. The only reason I can see as to why they raided the property was because of the cannabis. 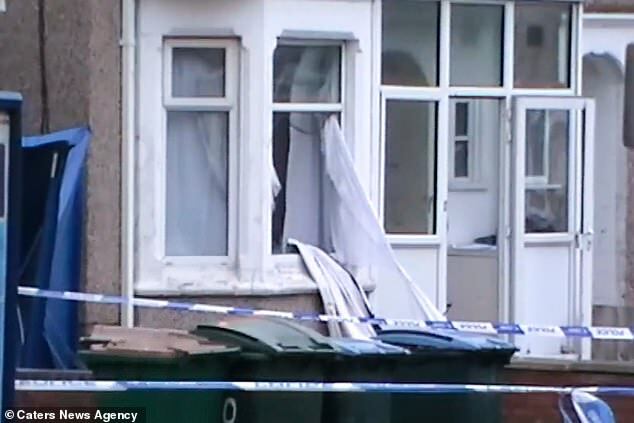 ‘They had a cannabis grow inside the house. But armed police and cannabis don’t go together – it seems really extreme. ‘None of the lads were armed and there was no weapons inside the house – I can guarantee that. I found out this had happened from a neighbour. ‘She said that she had heard an officer say it was just a warrant gone wrong. ‘My other friend was really shocked by the situation and started to ring around. ‘We rang hospitals and police stations to find out if they were ok.
‘It’s strange. I’m sure the police can only shoot if they are threatened or there is a weapon – but he was shot in the back. 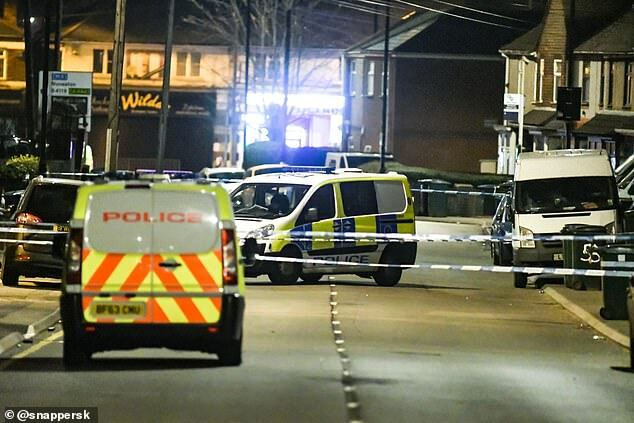 Witnesses described seeing a large number of officers in the area, including a significant number of police vehicles. Officers executed a warrant at an address in the street at around 6.20pm. ‘One man was shot and pronounced dead at the scene while two other men were detained by officers,’ the force said. Locals were told to go indoors as a section of the street was closed and ‘over 17 police cars armed police’ arrived. 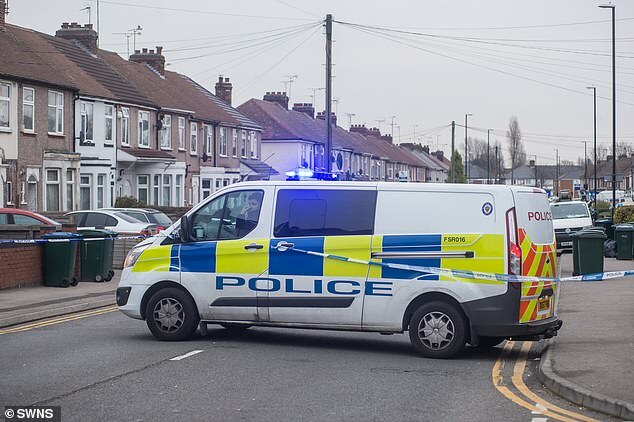 A cordon has been put around approximately 50 homes and still remains in place today. 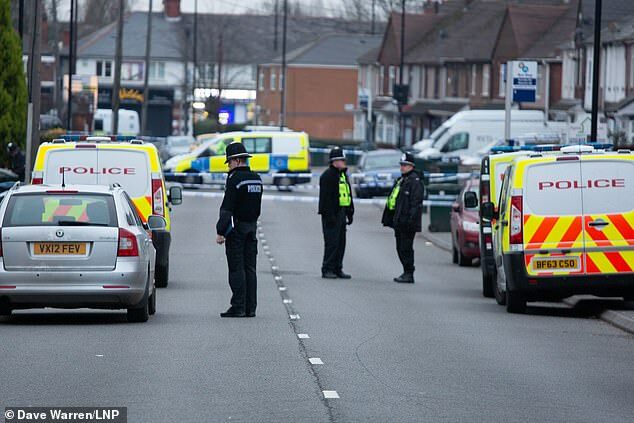 Neighbours have said that around about ‘four’ armed police vehicles were present and gun shots could be heard. 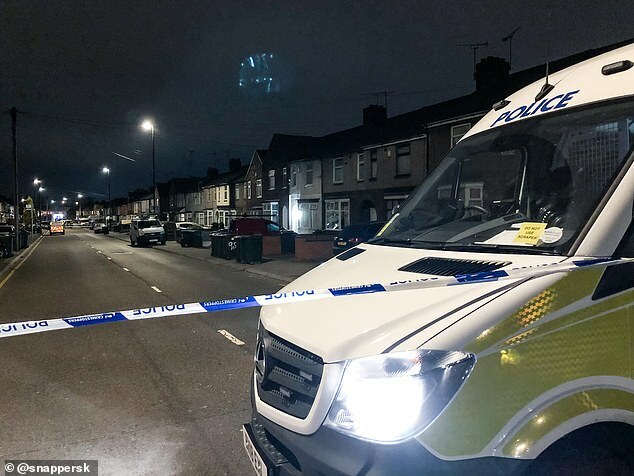 Fire engineer Karl Lolley, 39, a father-of-two who lives behind the police cordon, said he heard ‘four or five’ gunshots after witnessing officers descend on the home. ‘I saw three or four armed police cars turn up. Five to six armed officers got out and they went in the front door. There was some gunshots. ‘The next thing you know there’s more police arriving and they cordon off the area. 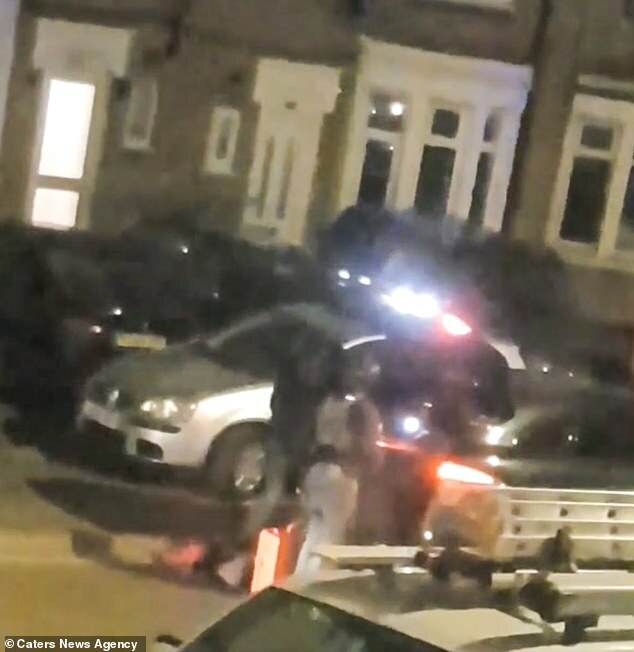 ‘They carry a person out on a stretcher, they put him in an ambulance – the lights on the ambulance were flashing for about half an hour as they were working on him. A resident who wished to remain anonymous said: ‘It was crazy. I heard gun shots going off and didn’t know what to think. ‘I live on the road and I just remember seeing about three or four armed police van turn up. ‘I think it was about seven officers who came out and went into the property. ‘More police arrived shortly after and cordoned off the road. They told us to stay indoors. ‘I managed to see someone being carried out on a stretcher – they put them into the back of an ambulance – they must have been there for an hour and a half trying work on that person. A local shop owner who didn’t want to be named said: ‘I was on my way to the shop this morning about 7am. ‘As I was opening up I could just see a police van blocking the road and police tape going across the road. ‘I asked the officer what had happened and they told me it was just a warrant that was being executed. ‘I just left them to it – but I heard later on the news that someone had been shot and killed – it’s horrible. ‘Everyone around here is really nice – I mean you get the odd bits of crime but nothing as serious as this. ‘I heard from customers coming in that it was some sort of raid, what about I’m not sure. 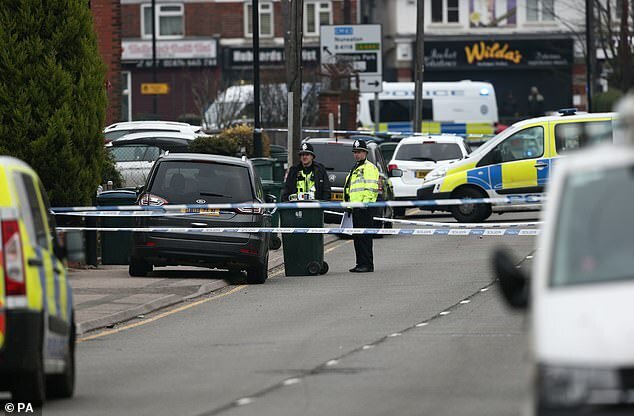 Adam Court, 26, owner of the local media network Complete Traffic based nearby, told the Press Association: ‘We heard a lot of sirens heading towards the far end of the street and traffic coming to a swift halt. ‘The road is plagued with a history of serious collisions so this was nothing out of the ordinary. 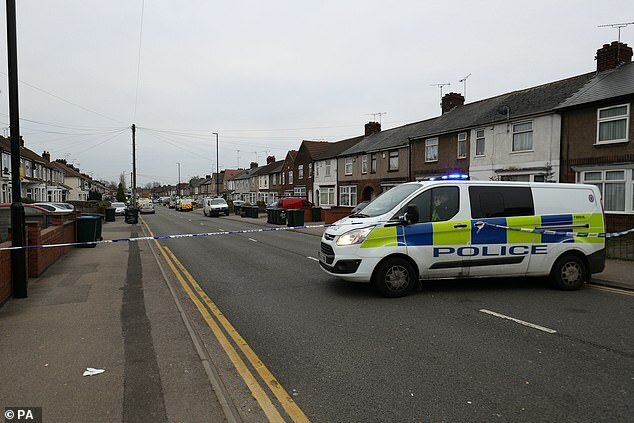 The area around the scene remained cordoned off on Saturday morning. 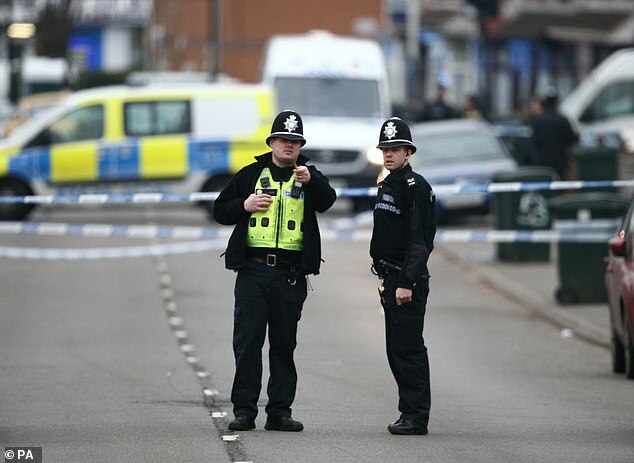 West Midlands Police said the incident had been referred to the Independent Office for Police Conduct, the forces watchdog. IOPC Regional Director Amanda Rowe said : ‘Our investigation is in its very early stages and we will be working hard to establish what happened. My thoughts are with the man’s family and all of those affected by this incident.